Arvind Aavishkaar in Naroda, Ahmedabad City & East by Arvind Smartspaces is a residential project. 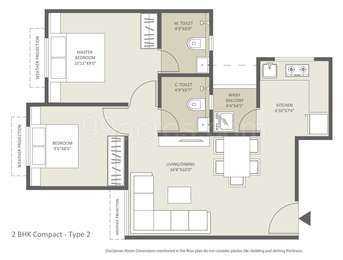 The size of the APARTMENT ranges in between 1050 sq.ft. and 1050 sq.ft. Arvind Aavishkaar price ranges from Rs. Rs. 2.28 Lacs to Rs. Rs. 3.10 Lacs. Arvind Aavishkaar offers facilities such as 24/7 water supply, Club house, Gymnasium, Inter-com, Children's play area, Lift and Power back-up. It also has amenities like Jogging track and Swimming pool. This is a RERA registered project with registration number PR/GJ/AHMEDABAD/AHMEDABADCITY/AUDA/RAA02798/A1. It is an under construction project with possession offered in Mar 2023. The project is spread over a total area of 4.22 acres of land. Arvind Aavishkaar has a total of 6 towers. The construction is of 14 floors. An accommodation of 574 units has been provided. You can find Arvind Aavishkaar price list on 99acres.com. Arvind Aavishkaar brochure is also available for easy reference. The real estate market of Ahmedabad City & East shows positivity with increasing demands from buyers and supply from developers. With improving physical infrastructure that better connects the micro-markets of the city, Ahmedabad City & East has seen a positive impact on the realty market. Where is Arvind Aavishkaar located? Naroda, a prime residential locality for house seekers in Ahmedabad City & East. What are sizes of apartments in Arvind Aavishkaar? The apartment sizes in the project range from 475.0 sqft to 645.0 sqft. 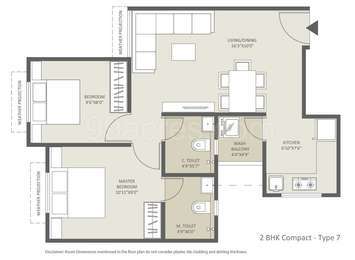 What is total area of 2 bhk in Arvind Aavishkaar? 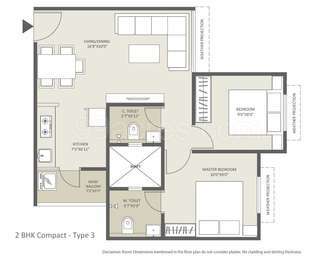 The area of 2BHK units in the project varies from 475.0 sqft to 645.0 sqft. What is the total area of Arvind Aavishkaar?The project spans across 4.22 Acres. What is total price of 2 bhk in Arvind Aavishkaar? The price of 2 BHK units in the project ranges from Rs. 2283848.08 to Rs. 3102602.4. What is the price of apartments in Arvind Aavishkaar? The units available in the project are priced at Rs. 2283848.08 to Rs. 3102602.4.
nge. Some of its landmark projects are Arvind Aavishkaar, Arvind Oasis, Arvind Skylands and Arvind Expansia; to name a few.